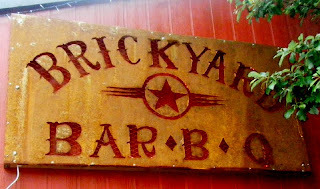 Update: Brickyard BBQ closed in 2012. 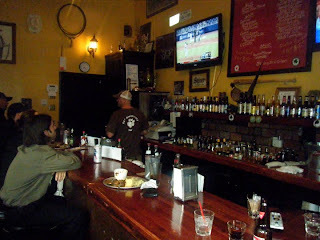 In neighborhood bar areas, as in business, it seems to be a general trend that the rich get richer. For Seattle area bars, the richest for me are Capitol Hill (particularly the stretch around Olive between Broadway and I5), the Georgetown/SoDo area, and California Avenue in West Seattle. Along the latter, which ranges from great old dives (e.g. 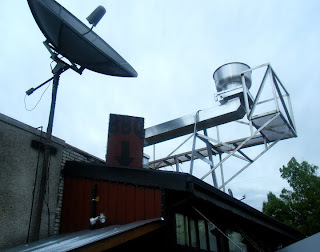 Poggie Tavern) to swanky (best represented by the recently demised Ama Ama) to fancy schmancy (e.g. Spring Hill), you can add one of very few barbecue places that really looks and feels like a barbecue place. 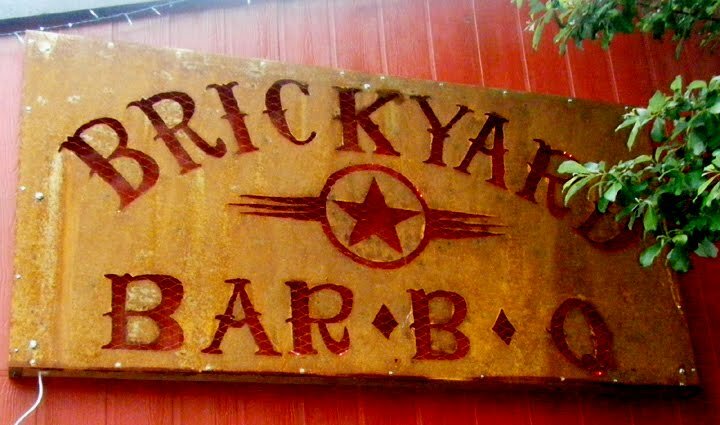 The Brickyard BBQ serves quite good Texas-style barbecue in a quirky building (much of it necessitated by quirky building codes) with a decor assembled from various friends, and designed with warm, summer afternoons in mind. There is currently a fair amount of outdoor seating and a garage door that opens the inner portion in warm weather, and Don Kriley, who co-owns the place with his brother Dan, took me back to see the grassy area in back that they plan to have ready to open this Saturday May 29th with horse shoe pits, fire pits, an outdoor bar, and live music, and I hope to be able to check it out that night. 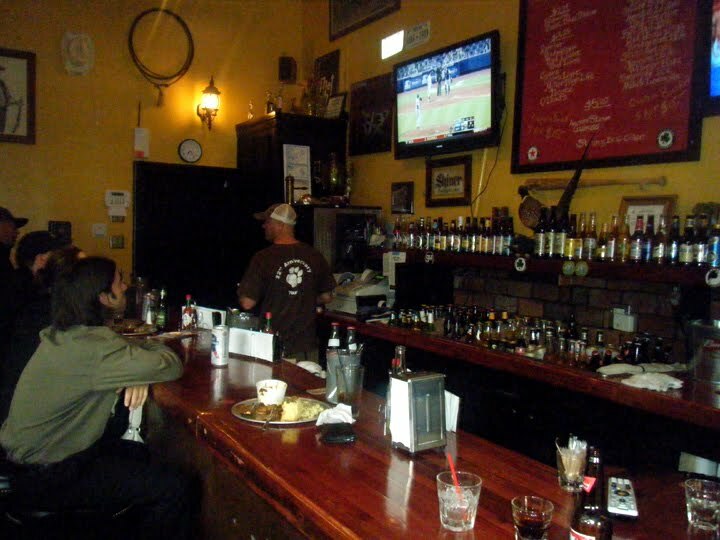 Thanks to Don's friend David for giving me a bit of history of not only this place, but the Blue Eagle, Alki, and some of the other old bars of West Seattle. There's not much fancy about the bar or drinks at the Brickyard, but this is place gives me one more reason to look forward to those warm summer days in between the gray ones.